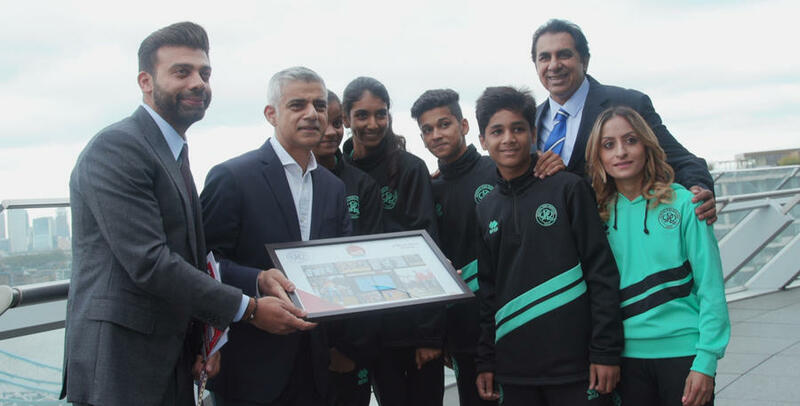 IN recognition of the tenth anniversary of QPR Trust and the South Mumbai Junior Soccer Challenger, chairman Amit Bhatia and Trust CEO Andy Evans met Mayor of London Sadiq Khan on Tuesday afternoon. 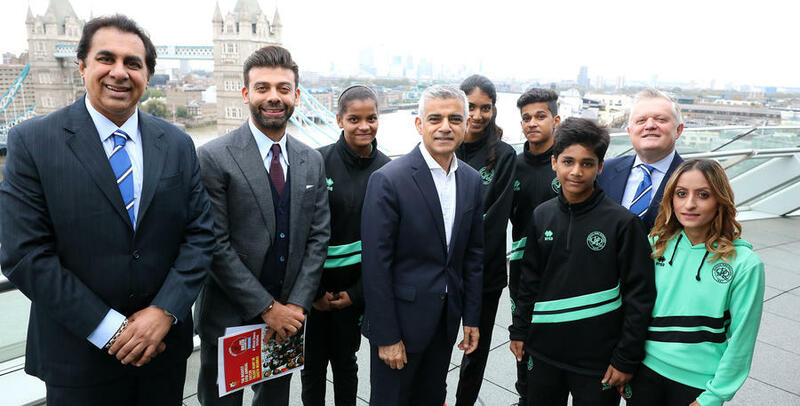 They were joined by Sanjiv Saran Mehra, Programme Director of the Mumbai Challenger, academy coach Manisha Tailor, and the winners of the 2018 Challenger, Ammar Imran Momin, Nirjala Nakul Sharma, Dia Mehta and Vivek Roy. Since 2009, more than 40,000 children have participated in the Challenger with as many as 80% being from lesser privileged backgrounds. 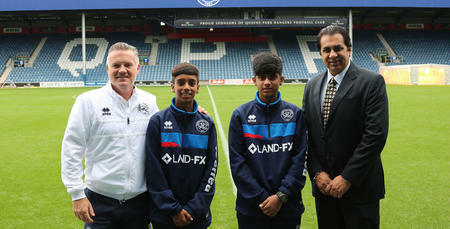 “I am so proud of this project,” Bhatia told www.qpr.co.uk. 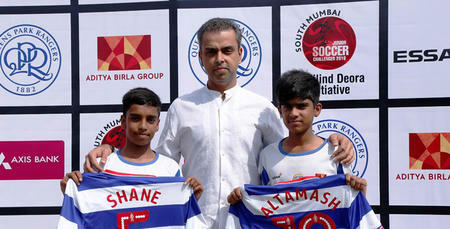 “When we started this it was a dream to have an impact in south Mumbai and give less-privileged children there the opportunity through sport to excel and improve. Saran Mehra added: “What started as a small idea when I discussed it with chief patron Milind Deora and to see the success of it ten years later has been absolutely amazing. Evans explained: “It has been great to meet the Mayor of London with Sanjiv and the winners of this year’s Challenger. “I can’t believe where the years have gone. It doesn’t seem that long ago that we were stood at the House of Lords launching the charitable arm of the club. Bhatia, who was the chairman of the Trust at its inception, continued: “Andy’s leadership has enabled the Trust to grow and have a huge impact on the local community, from children to the elderly. “The longevity and work of the Trust gives me shivers and I hope anybody associated with our club understands the great work that is happening. The longevity and work of the Trust gives me shivers. 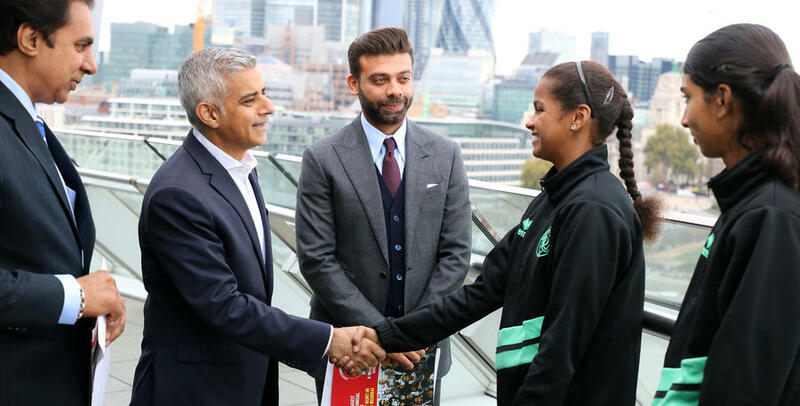 IN recognition of the South Mumbai Junior Soccer Challenger, chairman Amit Bhatia and Trust CEO Andy Evans met Mayor of London Sadiq Khan on Tuesday afternoon.